With Canadian Thanksgiving happening this weekend, I thought I would like to repost my favourite fall bun recipe. I made a batch of them in preparation for the turkey-cranberry sandwiches I am dreaming about. I have made these buns for Thanksgiving dinner for the past couple years and I really like them. 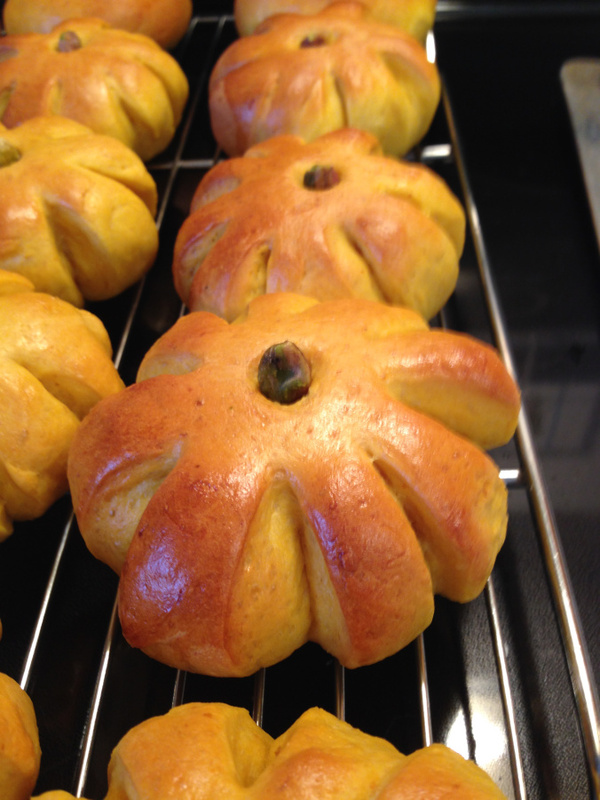 They are golden and pumpkin-shaped, delicious, and add a festive touch to the dinner table. I also make them, formed in a standard bun shape, for school lunches in the fall season. I use the bread machine to make the dough, so that is the form of the recipe. Set machine to dough setting and let the magic happen. I love doing my dough in the bread machine as it holds the heat and humidity in a way our house does not. I just use canned pumpkin. It works very well for this recipe. You are welcome. I hope you enjoy the buns.